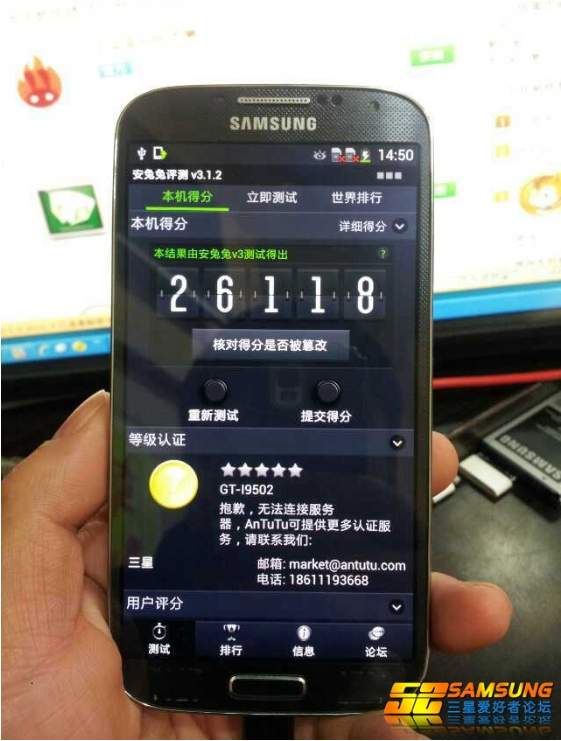 You are here: Home > Has The Samsung Galaxy S IV Been Spotted Thanks To A Chinese Forum? 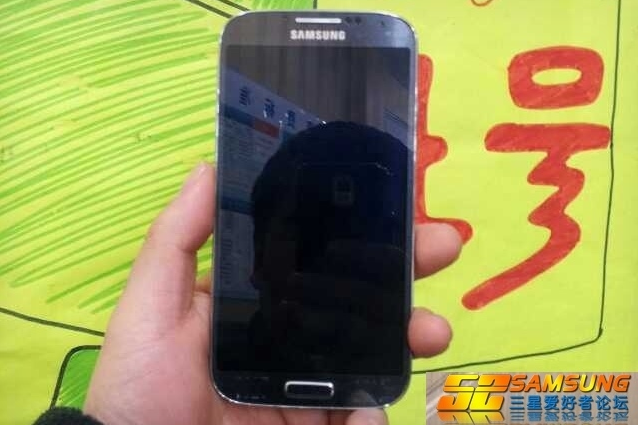 As images of the purported Samsung GT-I9502 leak out, they show a possible Chinese Galaxy S IV variant of the shadowy device. The leaked pictures were uploaded to Chinese forum 52 Samsung just a few hours ago, and if they are the real deal — the leaked device confirms a number of rumored specs. The device itself appears to be optimized for Chinese carrier Unicom as the GT-I9502. The hardware has a 1080p display, Android 4.2.1, “Universal5410” 1.8GHz processor, 2GB of RAM and a PoverVR SGX 544MP GPU. It’s believed that the “Universal5410” processor is code for the Exynos Octa 5410 processor. We should note that with the launch of the Galaxy S III, Samsung was able to completely hide the look of the device thanks to numerous prototypes and dummy cases that hid the phones true identity. Given that, there’s plenty of room here to believe that Samsung crafted this design as a mock-up or prototype and will in fact look nothing like the real deal. We’ll know for sure in just three days. Would you be happy with this design for the Galaxy S IV? I would not be satisifed with this design. I am too, but I hope the screen isn’t 6+in, that’s just too big for a phone. The Note2 is a good design. What Sammy should do is forget about a bezel with the captive buttons that would be better. If the actual design has that home button then I’d would be very disappointed. Why is everyone so opposed to the home button? I like how the side as a metal band just like the iPhone. Geez, Samsung just can’t stop. Looks sweet, and falls right inline with what they are doing at this time. It looks nice if this is in fact the S4. Yuck! No innovation here. Disappointed.. The fit and finish seem a little off to me. The gap around the bezel of the camera lense and the home button looks slightly diagonal. I personally think this is a faux shell for the real phone. It could be a clone. I would be fine with it as long as they get all of the internals correct. better camera and sensor, quad core processor, better battery life, better screen. the only things that turn me off are not having a speaker in the front ( like the HTC 1) and the physical home button, I would have liked to have seen them go with all disappearing capacitive buttons. Those things are really sweet and I love them on my galaxy s 3. on a side note, I thought when I saw what was supposed to be a leaked case for the Galaxy S 4 that the camera flash and microphone, or rather speaker, were all arranged in a horizontal row across the top. I would take this with a grain of salt, if anyone pays close enough attention it has dual sim icons at the top and says usb is connected when it isnt. All chinese brand phones that mock current Models all take dual sims and it just seems sketchy to me considering samsungs track history with keeping design under wraps until the unveiling. I’ll give you the dual sim, but the USB cable is definitely plugged in. didnt get a good look, multi-tasking thanks for the correct guys. It is plugged in. At the bottom of the phone you can see the black data cable. The “2” at the end of the model number suggests that it’s carrier-specific, and Samsung actually does make some dual-sim phones. tell me how the One is a copy of the iPhone 5.. just because it’s a square phone? or how the back has a line at each end of the phone? If HTC ONE is a copy of the iphone5 then iphone5 is a copy of HTC HD2….. If this is what the SG4 is, then they’ve lost it. It will sell well because it is a Samsung, but the HTC One will beat it like a drum. Looks like the S3 to me. lol. 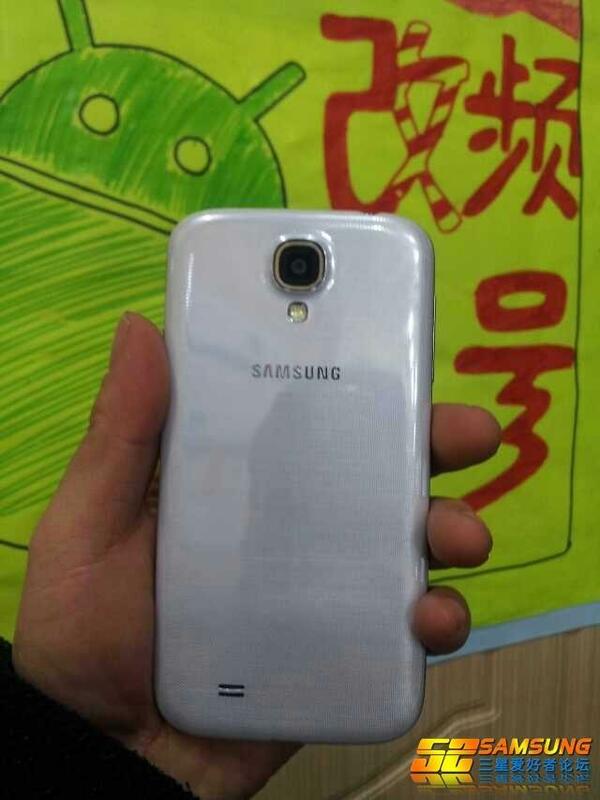 I hope this isn’t the S4… It looks JUST like my S3… Keeping my fingers crossed on this one…. I think it’s either a fake or disguise case. If it looks just like the S3, it wouldn’t do so good. If this is the final design then it seems to be an incremental update not a new device. It still looks like something in between the S3 and the Note 2 (which it’s). If the U.S. Samsung Galaxy S IV looks like this then I’ll pass and just wait for the Nexus 5 by LG or Motorola. Obviously this is a fake or a prototype. The Vietnamese did this last year with the S3 and the phone the S3 that was later revealed by samsung was better looking. I don’t Sammy would do this to us. The new design is supposed to be more rectangular instead of rounded at the edges. With a once a year refresh cycle the S4 needs a new look to stay competitive along with better specs. Looks like a slightly larger S3. Probably closer to a Galaxy S 3.5 than a 4. It’s like somewhere between the S3 and Note 2 in size but completely identical in looks except for the new aluminum band (wonder where they got that idea from). So far the htc one has poor battery life and a mediocre camera..
Would be fine with this exact design if the corners were more squared, the camera looked more cosmetically pleasing, and the phone itself was as thin or thinner than the S3. giant phone or small hand? That cant be the galaxy s4. The front camera is all out of place. When they stop making better phones. I enjoy my phone while I have it, resell it and purchase the next one I want. Win/win for me and the person buying my mint condition phones.